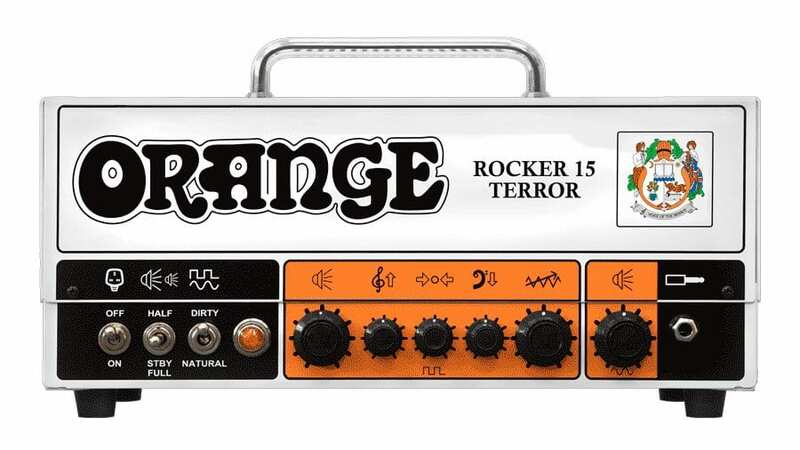 Looks like Orange has been pretty busy, what with their new signature Brent Hinds Terror head just being announced, they also have a new Rocker 15 Terror, Orange Crush Mini and a new PPC212 slanted cabinet all ready to show at NAMM this year as well. A cool new twin channel 15-watt lunchbox style all-valve amp head and based around EL84 and 12AX7 tubes, this twin channel amp has a built-in attenuator switch which is labelled ‘headroom or bedroom’ and means you have four different wattages to choose from – 15-watt, 7-watt, 1-watt and 1/2-watt. 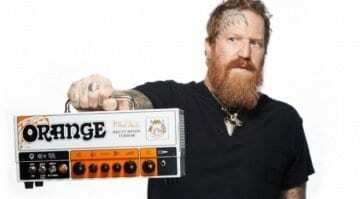 Similar in appearance to the new Brent Hinds Terror which was also announced today, but with a different gain structure and its own voice. It again has a ‘Natural’ channel with just a single volume control, the ‘Dirty’ channel gives you Gain, Master and a 3-band EQ to tweak. 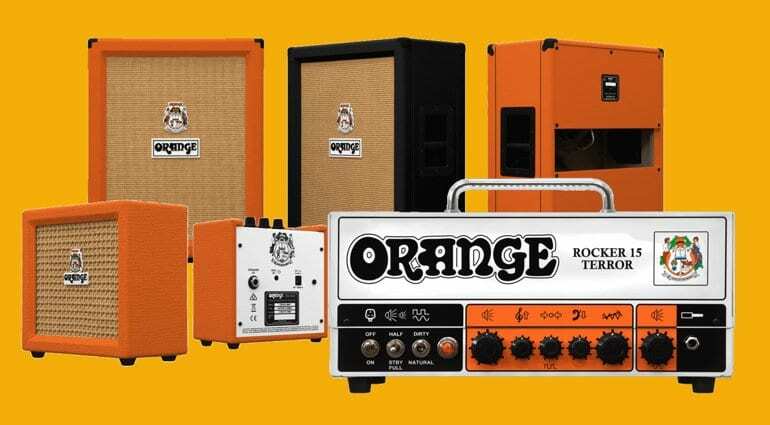 The new Orange Crush Mini is a 3-watt output with a small 4″ speaker as the main driver, although you can output it to an 8-ohm cab or use a headphone out for silent practice as well. With a simple control layout of Volume, Gain and Tone it has all you need to make a noise and looks like a bit of fun, I like dinky amps and have a few and so may pick one of these up myself, as they can be really useful. 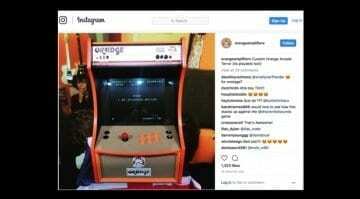 It also has a built-in tuner and Aux-in so you can use it to practice with, it will run off an external power source a single 9-volt battery as well. 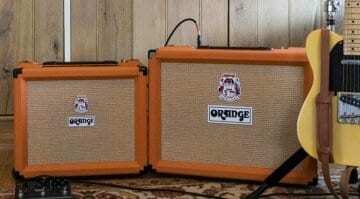 This new slanted lightweight birch plywood construction cabinet contains two 12″ Celestion Neo Creamback speakers and comes in either an Orange or a Black finish. Handy if you have a small amount of space on stage or in the boot of your car, as the slanted design appears to take up less space. 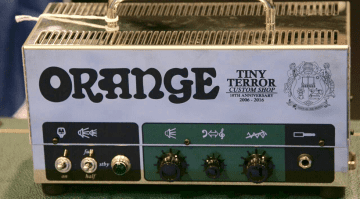 NAMM 2018: Orange Amplification’s Custom Orange Arcade Terror?